Purchasing a Sliding Door? Consider These Factors! If you are planning to have a new sliding door installed at your house in the near future, you have probably already started looking into some of the options you can choose from. This can be a bit overwhelming, as dozens of manufacturers make hundreds of door styles. “How,” you might be wondering, “can I know which door is the right model for my home?” This is a good question and, the truth is, there are probably multiple styles that will serve you well. In order to make a decision you’ll be happy with well into the future; however, there are some key factors you ought to take into consideration. These are detailed here. Security and ease of use – Although these two issues might not seem related; they are actually inextricably connected. In some instances, higher security means reduced ease of use when it comes to sliding doors. If you don’t want to spend several minutes undoing various types of locks and hinges before you can go outside, it is important for you to focus on finding a door style that is sufficiently secure to keep your family safe but won’t make your everyday life more difficult. Projected lifespan – The durability and project lifespan of a sliding door should also be carefully considered as you shop. Vinyl doors are typically incredibly durable and require very little maintenance. They are also among the most affordable options on the market. Solid wood sliding doors have a great look, but they do require regular upkeep and are typically fairly costly. Both of these materials have their merits. Only you can know what your priorities are in regard to durability and general maintenance. Energy efficiency – Although most of today’s sliding doors are quite energy efficient, some styles still have higher EnergyStar ratings than others. 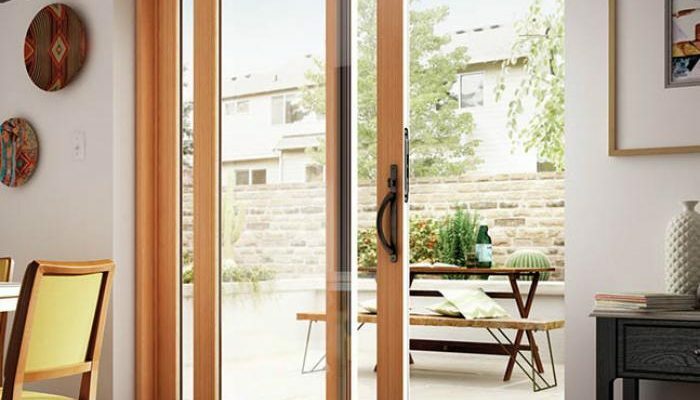 Because the region has balmy weather for much of the year, many North Carolina and South Carolina homeowners are particularly concerned with having energy efficient doors and windows. Remember, even if you pay more upfront for an extremely energy efficient sliding door, you will probably recoup the extra money with lower utility bills within a year or so. Brand – As a general rule, as long as you love the quality, aesthetic, and features of the sliding door you choose, the brand is secondary. It is, though, worth noting that certain manufacturers offer better warranties than their competitors. Therefore, if the warranty that is included with your door really matters to you, pay attention to which brand you’re buying from. Although sliding door installation is something that homeowners sometimes try to do on their own, it’s really best to leave it to the professionals, like our team at Hatch Homes. Improper installation can lead to air leaks, costly heating and cooling bills, and even invalidated warranties. To avoid any of these issues, give Hatch Homes a call today to schedule an appointment with one of our installation technicians. We take pride in doing jobs right the first time, so if you trust us with your job, you can rest assured that your door will serve you well for many years.